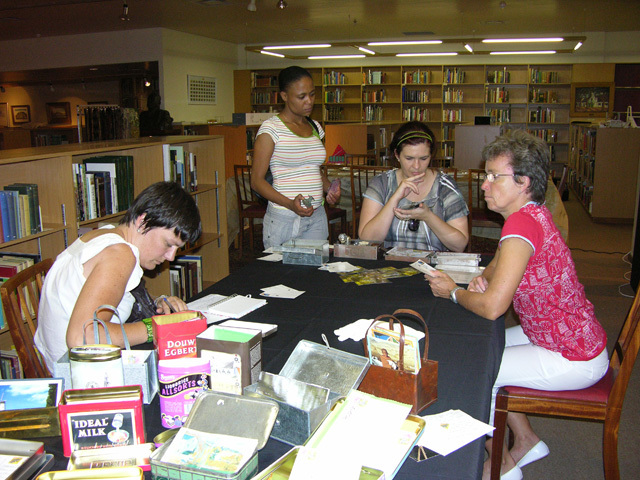 Various artists and academics recently participated in the colloquium (13-14 July 2011) of the unique creative research project “Transgressions and Boundaries of the Page” at the Potchefstroom Campus of the North-West University. This year is dedicated to the writing of research findings, papers, articles and congresses on the “Transgressions and Boundaries of the Page” and the colloquium provided the oppurtunity for reflection and discussiong. A project catalogue was also released during the colloquium. 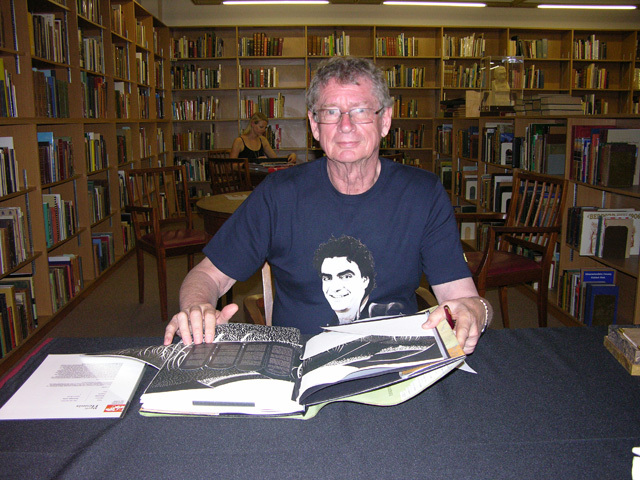 Wessie van der Westhuizen (graphic design) was responsible for the design and layout of the printed catalogue. Jaco Burger designed the digital catalogue. The catalogue is available at R200. For oders contact Franci Greyling. 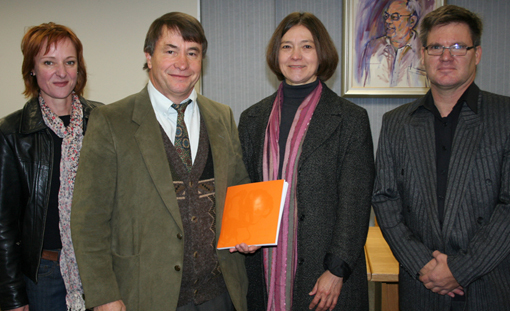 Three of the project leaders and editors of the catalogue during the colloquium. From left are Louisemarie Combrink (art history), Profs Jan Swanepoel (dean of the Faculty of Arts), Franci Greyling (calligraphy) and Ian Marley (graphic design). Transgressions and boundaries exhitition at the FADA Gallery, Faculty of Art Design and Architecture, University of Johannesburg, Bunting Road Campus, Auckland Park (between SABC and Egoli Gas) 12 to 23 July. Opening Wednesday 14 July at 18:00. The exibition will be opened by Jack Ginsberg. 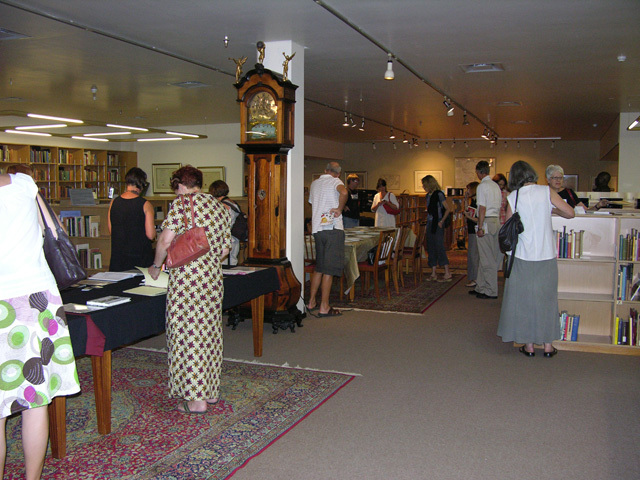 The exhibition of Transgressions and boundaries of the page is currently on show at The Gallery of the North-West University Potchefstroom Campus till the 13th of May 2010. The Gallery hours is: Monday till Friday, 10:00 - 16:00 and admission is free. 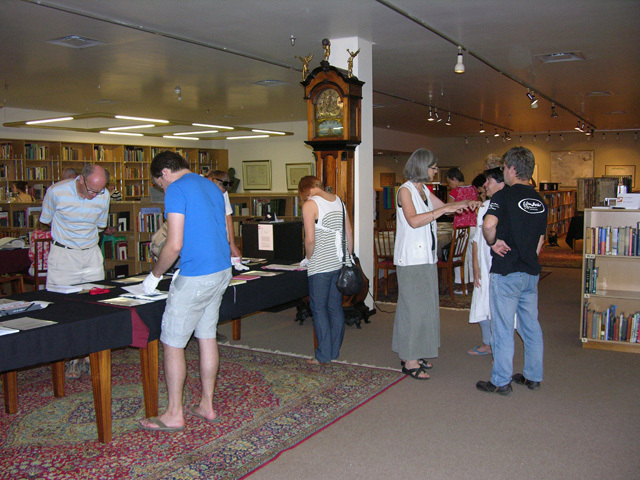 The exhibition of Transgressions and boundaries of the page at the recent Word Festival generated a great deal of interest from the public. 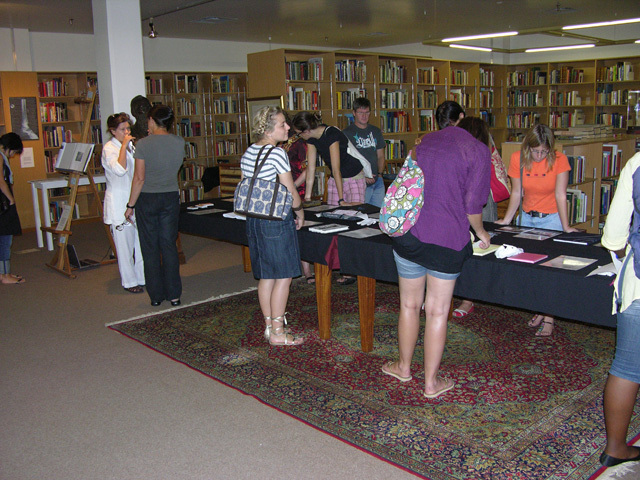 In particular, visitors commented on the diversity of book types, individual approaches and media use. The crowning achievement was that both the Word Festival awards for Visual Arts went to artists of the Transgressions project. Richardt Strydom and Jaco Burger were honoured as best visual artists (with Ad Hominem), and Diane Victor was placed second. This is the first time that the WOORDtroFEES were awarded at the Word Festival. 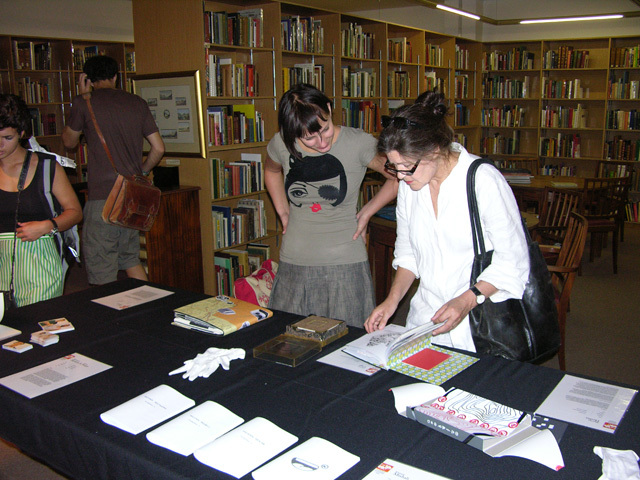 The creative outputs will be exhibited in a group exhibition at the Word Festival in Stellenbosch during March 2010 as well as at the North-West University Gallery Potchefstroom and FADA Gallery, UJ. In the group exhibition Transgressions and boundaries of the page (Oor die einders van die bladsy) 40 artists and writers will be exibiting their work (artist’s books). Artists contributing to this exhibition are Strijdom van der Merwe, David Paton, Jan van der Merwe, Ross Cleaver, Flip Hattingh, Cheryl Gage, Fanie Viljoen, Leon de Villiers, Stephan Erasmus, Leora Farber, Ian Marley, Franci Greyling, Richardt Strydom, Kabous and Hannes Meiring, Paul Schutte, Christiaan van der Westhuizen and others. The exhibition forms part of a creative project and transdisciplinary investigation into the artist’s book and practice-based research. In addition to the exhibition, five artists participate in a round-table discussion about the project, the artworks and how each approached the challenge set by the theme of the project. Parcipants in the discussion are the project leaders and curators, Franci Greyling and Ian Marley, and the poet Danie Marais, artist Strijdom van der Merwe and cultural journalist Kabous Meiring. Title: Creative research projects: how is this possible? Ian Marley and Franci Greyling, leaders and curators of the Transgressions / Einders project, discuss the challenges and possibilities of practice based research. Aspects like creative group dynamics, project structure, and project management will be discussed and practical tips will be shared. It is hoped that this project will stimulate broader discussion of practice as research and that approaches such as this one will fuel further projects that can open up avenues within which an expanded view of art making and academic work can develop. The advantages of practice-based research are numerous, both for practising artists and the more academically inclined, and include a broad networking base of like-minded creatives and thinkers who gain much from large collaborative efforts that also demand the development of insight into the intimate workings of the individual creative mind.